On July 21, the body of transsexual activist Herwin Alexis Ramirez Chamorro (aka “Africa Noxema Howell”) was found in La Ceiba. Herwin Alexis volunteered with the Ceiba Pro-Union Organization (OPROUCE). Last February, I posted about threats against the Executive Director of this OPROUCE, Patricio Vindel. 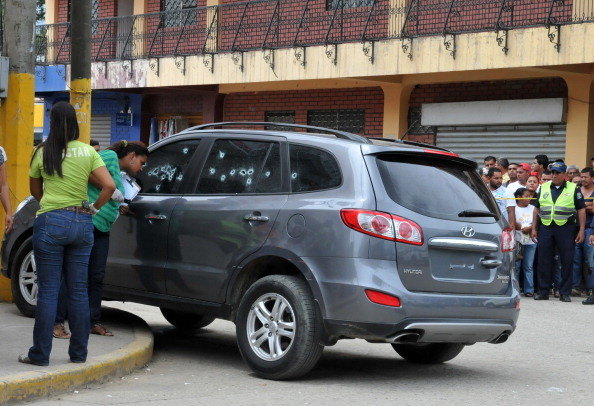 Judge Mireya Efigenia Mendoza Peña, a member of the Association of Judges for Democracy (AJD) was killed in an ambush by gunmen on motorcycles on July 24. Also on July 24, seven heavily armed men abducted two international volunteers who had been working with Honduran activists opposed to mining in the Nueva Esperanza community in the department of Atlántida – the same region where Herwin Alexis Ramirez Chamorro was murdered. Although the two activists were eventually released unharmed, the gunmen threatened them if they reported the crime. It is the State’s obligation to proactively investigate acts of this nature. The Commission insists on the need to create special protocols that make it possible to conduct investigations into cases involving attacks on justice operators and ensure punishment for those who are responsible. The Commission also urges the State of Honduras to immediately and urgently adopt all necessary measures to guarantee the right to life, integrity, and safety of judges and magistrates and, more generally, all those who work in the field of justice in Honduras. Please take action on Nueva Esperanza case to demand that Honduran authorities carry out this fundamental responsibility! This entry was posted in Americas, LGBT Rights, Prisoners and People at Risk and tagged Americas, censorship and free speech, economic social and cultural rights, Honduras, human rights defenders, impunity, LGBT Rights, Military Police and Arms, Nueva Esperanza, OPRUCE, prisoners and people at risk by Larry Ladutke. Bookmark the permalink. Which Human Rights Defenders Are Most Often Attacked in the Americas? Stand Up to Homophobic Violence in Honduras! Larry Ladutke is the Country Specialist for El Salvador and a Chair of the Central America Co-Group. Having grown up in California it is unbelievable to me that this actually happens – and that so few people are aware outside of the country (sometimes city/town) where it happens. Sadly our broadcast news channels don’t cover this news – things we should know, I guess they just don’t have time once they have covered the Kardashians, Lindsey Lohan, and Amanda Bynes…. What does it say about our society that we watch the trial of OJ Simpson, George Zimmerman and the football player arrested for murder rather than demanding coverage of these human rights issues. For a moment I even felt bad for the kidnappers – they don’t understand why some people don’t want them to mine, they just want a job so they can feed their families probably. This certainly does not justify their criminal acts, just goes to motive. We must all act quickly and let the government know that their behavior condones these criminal acts and they need to do the job the were supposed to do. This has gone too far! People are being shot. I applaud these courageous people,but they need the help and support of the authorities or else this will end in a disaster.